On his blog, Faraway Looks, John Jackson Miller answers questions about his new novel, Knight Errant. The following is an excerpt from JJM’s blog. There’s a lot of potential stories built into the sector map already — but I can say that we will get a sense of what’s going on elsewhere in the days ahead. 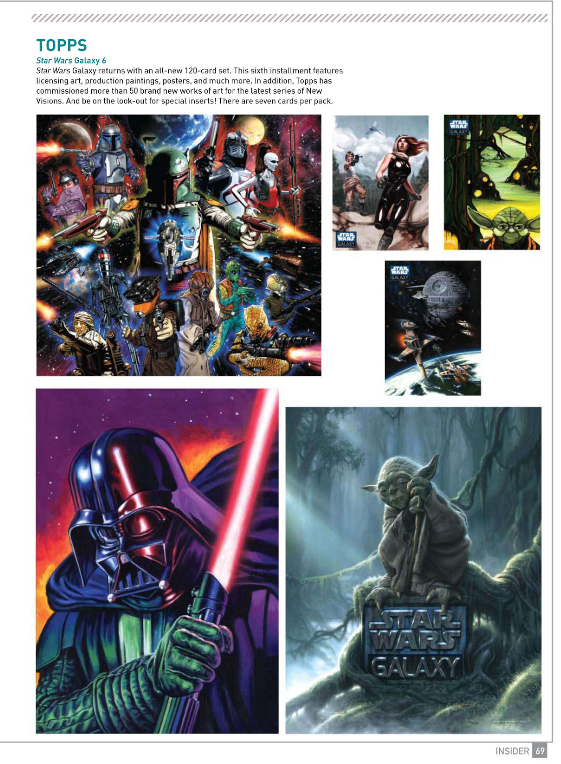 It has been long reported that all six Star wars movies were to be released as 3D versions. Today Lucasfilm ltd. and 20TH Century Fox announced the official release date of the first film. The best part is, it is less than a year away! Phantom Menace is scheduled to be released on February 10, 2012. You umm... thought I was scary before, eh? Lucasfilm Ltd. and Twentieth Century Fox announced today that the 3D theatrical launch of Star Wars: Episode I The Phantom Menace now has an official release date — February 10, 2012! Set against the thrilling and exotic backdrop of a “galaxy far, far away,” Star Wars is perfectly suited to the immersive 3D theatrical experience, and Episode I delivers some of the Saga’s most stunning and spectacular sequences — from the Naboo invasion to the Tatooine Podraces to the climactic lightsaber battle between Darth Maul and the Jedi. Supervised by Industrial Light & Magic, the meticulous conversion is being done with utmost respect for the source material, and with a keen eye for both technological considerations and artistic intentions. How exciting to see the Battle of Naboo, the duel between Darth Maul and Jedi Knights Obi Wan Kenobi and Qui Gon Jinn or a pod race in 3D! 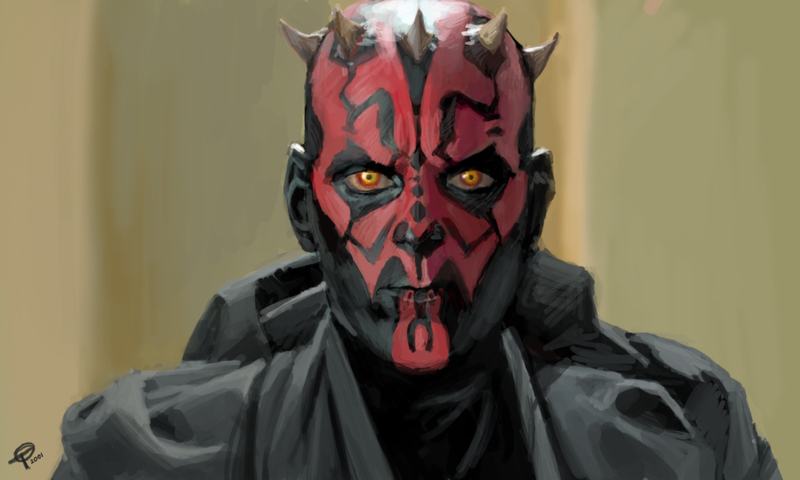 Maybe the 3D treatment might even give Jar Jar Binks some love. 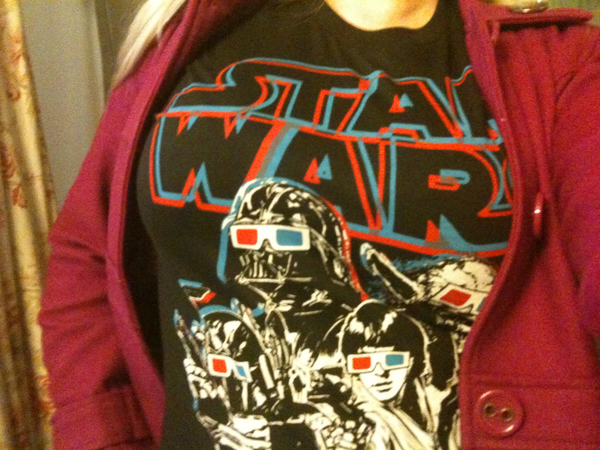 With this T-shirt we finally reach the zenith of geek culture. Second Arc for Knight Errant Comics Revealed! 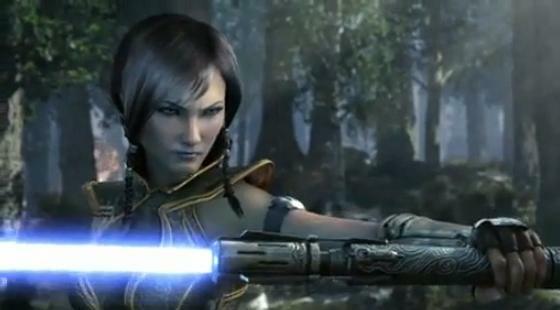 Kerra Holt returns to her homeworld of Aquilar, that fell to the Sith decades ago. But her enemies, and even her allies are not what she expected, and Kerra will learn that some things are worse than the Sith. 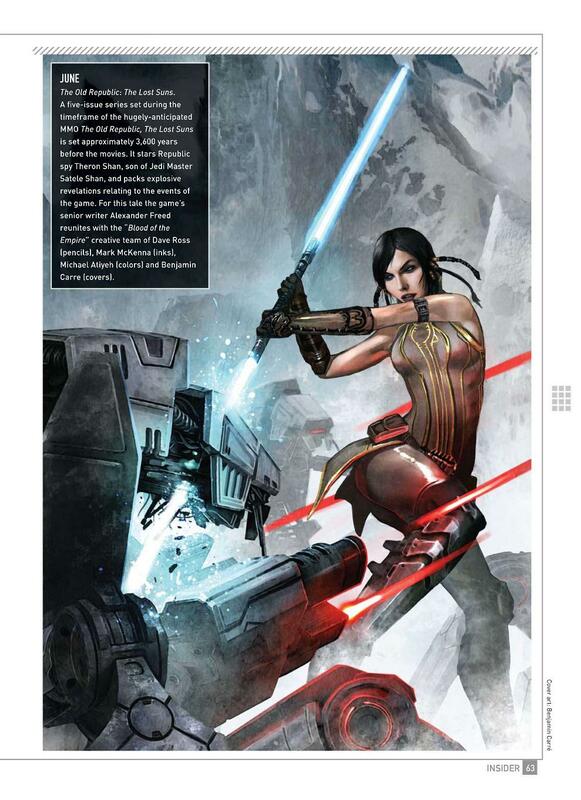 Again thanks to Star Wars Universe for posting the details. You can check the post out here (translated in English). French site, Star Wars Universe, broke the news yesterday that, according to Star Wars Insider, both Invasion and The Old Republic will be adding new arcs. Invasion (coming in July) is titled Revelations, while TOR’s is The Lost Suns.